Brandon Clark spent many years in Brentwood catering to Hollywood celebrities. 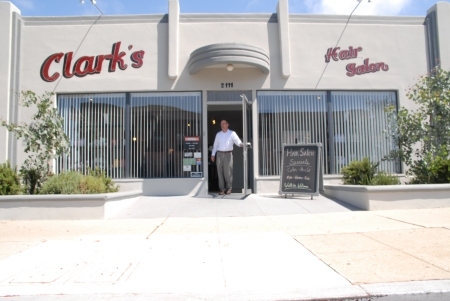 His salon in Ventura provides the same kind of casual elegance his previous clientele demanded. Sip expresso, nibble on chocolates and relax, knowing you are in the hands of the ultimate professional. Whether you need a new style, simple cut or tinting, Brandon can get you in-and-out quickly. And you will feel relaxed and pampered in the process. Call Brandon at (805) 653-0300 for an appointment.